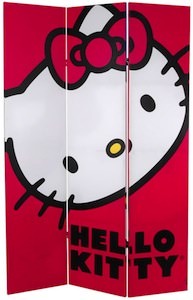 Are you decorating the kids room into a Hello Kitty room? If so then don’t forget the light switch as those are normally just boring and white. With this switchplate you can make you ligth switch look like Hello Kitty. The cover is pink and has a picture of Hello Kitty on it and the words “Hello Kitty”. Replacing a light switch cover is easy and can be done by anyone in minutes. 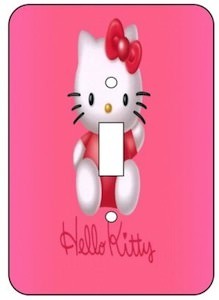 Come checkout this Hello Kitty Light Switch Cover.